What's difficult is to keep designing them consistently, project, after project, after project. So how do you keep designing easy-to-use web applications on an ongoing basis? How do you start a design project knowing fully well that you will end up designing an application that meets and exceeds the needs of its users? I still remember the day when my manager told me that we had to design a production scheduling application because our production assembly line was a mess. There was no plan for what was to be produced on any given day. There was no plan for what was to be produced on a given machine at any given point in time. And neither was there any way to track a part across the production line. In short, we needed an application that could plan and track each and every part as it moved through the various stages of production. I stumbled, fumbled, fell over, before finally managing to design an application that was capable enough to schedule work for the entire production line, day in and day out. Yet, something changed over the years. Now, I don't fumble, stumble, and fall over again and again. So what's changed? A Book on How To Consistently Design Web Applications From Concept To Finished UI, One Step At A Time! Most design books tell you about the general principles of UX and UI design. They talk endlessly about how to design the UX and UI of web applications and how someone else has designed their web application. This book, on the other hand isn't about UX and UI design alone. It's about how you can practically design your web application one step at a time from concept to finished UI. 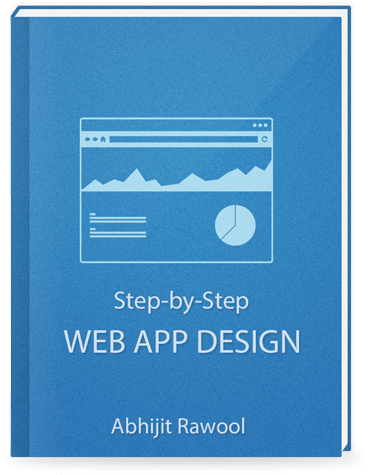 It's a book that is based on designing web applications step-by-step. So why the heck is it so important to design web applications Step-by-Step? Do you know how computers are built? Do you know how mobile phones are built? Or how the furniture in your house is built? Your house, office, pen, pencil, paper, or absolutely anything around you is built? Each and every thing around you is built by systematically following a pre-defined set of steps. They are all built Step-by-Step! That is the reason why all these things get made perfectly each and every time they are made. Yet, when it comes to designing web applications, we think that each design project is different. It is true that each design project is different, but the underlying set of steps to design any web application are always the same. You have to always start with understanding the requirements, then define the scope, then do high-level conceptual design, and then finally do the detailed design. One Step at a Time! Step-by-Step! Because if you don't do that, you get caught in the endless cycle of revisions and iterations that no one likes to deal with. But how do you make sure that you never miss any details during each step of the web application design process? How do you guarantee that every time you follow the steps one after another, your web application design will meet and exceed all the needs of its users? That is where this book comes in. So let's take a peek inside the book. In this chapter, you will learn how you can take all the learnings from the previous chapters and put them in action to design the actual user interface and the workings of your web application. You will also learn about the various design documentations that you can use to communicate and document your design ideas. There are some other chapters too, but this is the meat of the book. I know that so much of theory can get overwhelming and confusing. So the book is written by taking an example of designing a Ticket Booking web application. As you progress through the book, you will learn how you can apply the design principles that you are learning in each lesson to design a real Ticket Booking web application. Yes! You will actually see how a web application gets practically designed from Concept to Finished UI, step-by-step. You will not be left hanging to guess how to practically apply the design concepts that you learn inside the book. The entire Ticket Booking web application will be designed each step of the way as you move through the chapters learning about all the design concepts that go into consistently designing web applications that people love to use. It does not matter how good your web application design is. Without a proper security feature that allows the administrators of your web application to secure user access to various parts of your web application, your design is incomplete. This video will show you how you can design a security feature in your web application that is scalable and modular. A Dashboard is the first thing that the users of your web application will see every time they log in to your web application. So making mistakes in designing the dashboards can result in some really annoying feedback from the users of your application. This video will show you how you can avoid the 6 big common mistakes that almost all web application designers make. The uniqueness of this book is that it is based on a specific set of steps to design web applications that have been refined over 10 solid years of designing Enterprise-grade web applications. You will see why these steps are so very different from anything out there. The central idea of the book is to design web applications step-by-step. One step at a time. What this book is NOT about? I wouldn't advise to buy this book until you feel absolutely sure that it will be the most effective way to enhance your web application design skills. However, I'm so confident you'll see results with this book, I back it up with a full, no questions asked, 30-DAY MONEY-BACK GUARANTEE! If you don't get the results you want, or feel this book wasn't for you, there are no hard feelings! Simply send me an email at abhijit@webapphuddle.com, and I'll immediately refund your money. The book is tailored for people who want to focus on the basics and build from there without biting off more than they can chew. You can always go bigger later! This package is perfect for people who know that details are important, that action is everything, and that if you’re going to do something right, you should give it your all. Time for some questions and answers! What format is this book in? This book is in PDF format. You can download the book immediately after your purchase. Have you seen a single sales page on the entire internet with a negative testimonial? No, right? So what is the point of displaying only positive testimonials about the book? I don't want to fool you with these. So instead of testimonials I will give you No Questions Asked 30-Day Money-Back Guarantee! Fair enough? When will I get access to the bonuses? You can access the bonuses immediately after you buy the premium package. The bonuses can be downloaded right-away after your purchase. Will I get future updates to the book? Yes off-course. You get lifetime updates to the book. When I update the book, you will get an email from me with instructions to download the newer version of the book. What if I am not happy with the book? If you don’t like the book, I don’t want your money. Just send an email to me at abhijit@webapphuddle.com within 30 days of purchasing the book and I will issue a refund without asking a single question. If you still have questions then get in touch with me at abhijit@webapphuddle.com, and I will do my best to answer them. Hello there! 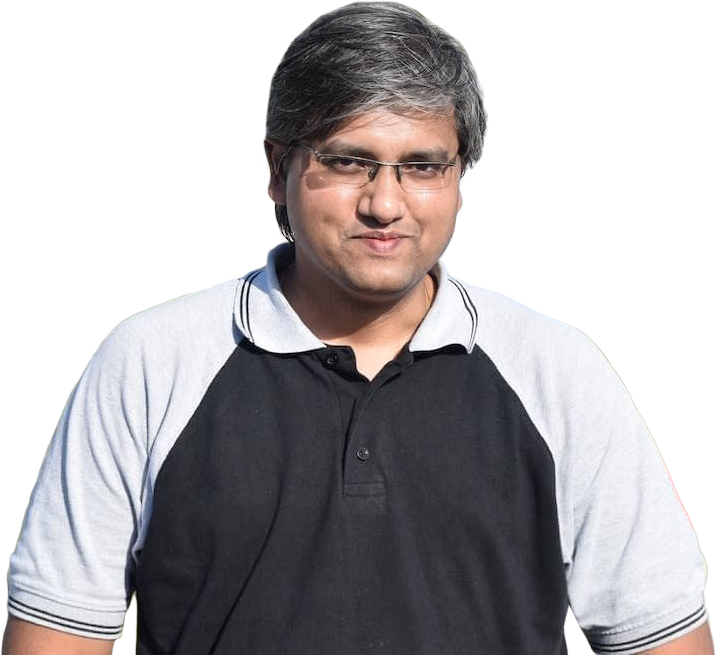 I’m Abhijit Rawool, founder of Web App Huddle. I’m a design geek who knows just how challenging and rewarding it is to design a web application from scratch. It’s demanding work, but I love it. I have designed enterprise level web applications, ERP to be specific, throughout my career and will continue to do so. I love to teach what I practice. I live in Hyderabad, India, and hate to travel. You can get in touch with me on Twitter (@abhijitnr).